The novel details a day in the life of Clarissa Dalloway, a fictional high-society woman in post–First World War England, and is one of Woolf’s best-known novels. Created from two short stories, "Mrs Dalloway in Bond Street" and the unfinished "The Prime Minister," the novel addresses Clarissa’s preparations for a party she will host that evening. With an interior perspective, the story travels forwards and back in time and in and out of the characters’ minds to construct an image of Clarissa’s life and of the inter-war social structure. In October 2005, Mrs Dalloway was included on Time’s list of the 100 best English-language novels written since 1923. The novel centres ambiguously around the life story of the protagonist, Jacob Flanders, and is presented almost entirely through the impressions other characters have of him. Motifs of emptiness and absence haunt the novel and establish its elegiac feel. Jacob is described to us, but in such indirect terms that it would seem better to view him as an amalgam of the different perceptions of the characters and narrator. He does not exist as a concrete reality, but rather as a collection of memories and sensations. The book presents a group of six friends whose reflections describe the intensity of childhood, the optimism and physical awareness of youth, the detachment of middle age. Sensations, emotions, perceptions come and go in the procession of the narrative like the passing of the seasons or the motion of waves. The recitatives of the characters creates an atmosphere more akin to a prose poem than a plot-centred novel. Orlando is one of Virginia Woolf’s lightest novels. It is a parodic biography of a young nobleman who lives for three centuries; at one stage abruptly changes into a woman; and in all that time never ages much beyond thirty. The book is in part a portrait of Woolf's lover, Vita Sackville-West, and was meant to console Vita for the loss of her ancestral home, though it is also a satirical treatment of Vita and her work. This edition includes every illustration from the first edition. The Voyage Out was Virginia Woolf’s first novel. The protagonist, Rachel Vinrace, embarks for South America on her father’s ship and begins a kind of modern mythical voyage of self-discovery. The mismatched jumble of passengers satirise Edwardian life, one of which is Clarissa Dalloway, the central character of Woolf’s later novel, Mrs Dalloway. Two of the other characters were modelled after important figures in Woolf’s life. St John Hirst is a fictional portrayal of Lytton Strachey and Helen Ambrose is to some extent inspired by Woolf’s sister, Vanessa Bell. Rachel’s journey from a cloistered life in a London suburb to freedom where she experiences challenging intellectual discourse and discovery, very likely reflects Woolf’s own journey from a repressive household to the intellectual stimulation of the Bloomsbury Group. 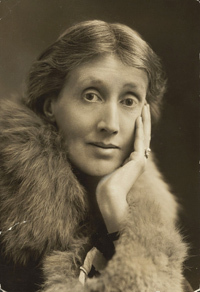 Virginia Woolf (1882 – 1941) was an English writer and one of the foremost modernists of the twentieth century. Between the two world wars, Woolf was a significant figure in London literary society and a central figure in the influential Bloomsbury Group of intellectuals. Woolf suffered from severe bouts of mental illness throughout her life and committed suicide by drowning in 1941 at the age of 59. The book is set on two days which are ten years apart. The plot centres on the Ramsay family’s anticipation of and reflection upon a visit to a lighthouse and the connected familial tensions. One of the primary themes of the novel is the struggle in the creative process that beset painter Lily Briscoe while she struggles to paint in the midst of the family drama. The novel is also a meditation upon the lives of a nation’s inhabitants in the midst of war, and of the people left behind. It also explores the passage of time and how women are forced by society to allow men to take emotional strength from them. This was Virginia Woolf’s last work. It uses a highly imaginative and symbolic narrative encompassing almost all of English history. And the work sums up and magnifies Woolf's chief preoccupations, which were the transformation of life through art, sexual ambivalence, and meditation on the themes of flux of time and life, presented simultaneously as corrosion and rejuvenation. The book is the most lyrical of all her works, not only in feeling but in style, being chiefly written in verse. An extended essay, first published in 1929 and based on a series of lectures that Woolf delivered at Newnham College and Girton College, two women’s colleges at Cambridge University in October 1928. The extended essay employs a fictional narrator and narrative to explore women both as writers of and characters in fiction; and is generally seen as a feminist text. It is noted in its argument for both a literal and figural space for women writers within a literary tradition dominated by men. Night and Day was Virginia Woolf’s second novel. Set in Edwardian London, it contrasts the daily lives and romantic attachments of two acquaintances, Katharine Hilbery and Mary Datchet. The novel examines the relationships between love, marriage, happiness, and success; and deals with issues concerning women’s suffrage, whether love and marriage can coexist, and whether marriage is necessary for happiness. Motifs throughout the book include the stars and sky, the River Thames; and many references are made to the works of William Shakespeare, especially As You Like It.